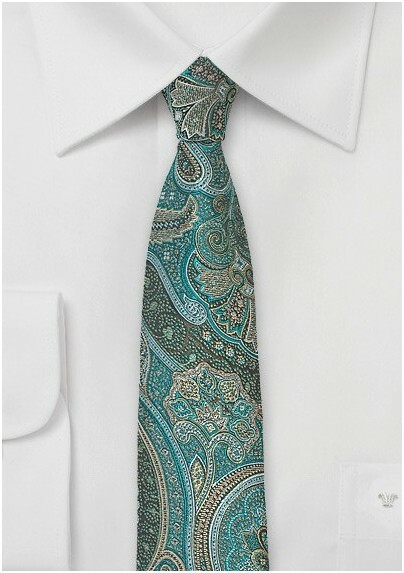 From the menswear designers at Blackbird, this Trendy Skinny Paisley Tie in Sea Green adds opulent elegance to well-tailored suits. Its regal pattern of green and gold paisleys swirl on a skinny width of 2.5 inches. 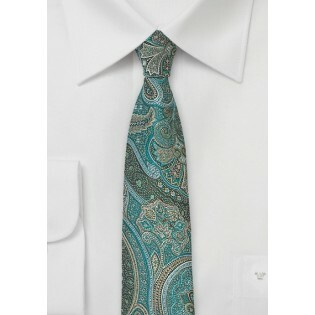 Woven from quality man-made microfiber, this tie is both wrinkle and stain resistant. Wear it with a white dress shirt and a sharp two-button charcoal blazer.